Once Upon a Time Season 7 premieres Friday, October 6 at 8 p.m. ET on ABC. Special behind-the-scenes bloopers from Season 6 and sneak peek scenes from Season 7 were revealed Satruday at San Diego Comic-Con at a panel with co-creators and executive producers Edward Kitsis and Adam Horowitz, along with executive producer David H. Goodman and Once Upon a Time cast members Lana Parrilla , Robert Carlyle, Colin O'Donoghue, Andrew. J. West, Gabrielle Anwar, Dania Ramirez, and moderator Yvette Nicole Brown. After six seasons, the residents of the enchanted forest enter Season 7, facing their greatest challenge yet as the Evil Queen, Captain Hook and Rumpelstiltskin join forces with a grown-up Henry Mills and his daughter Lucy on an epic quest to bring hope to their world and ours. Along the way, new fairy tale characters and old search for true love, find adventure, and take sides in the ongoing struggle of good against evil as classic tales are once again twisted and reimagined. 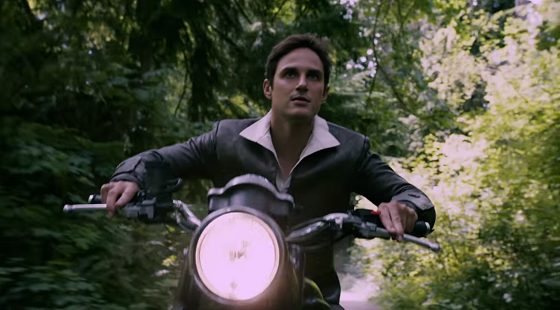 Watch the Once Upon a Time Season 7 Comic-Con trailer below.